The first Lucasfilm-approved Star Wars convention was launched to celebrate the 10th anniversary of Star Wars: A New Hope. 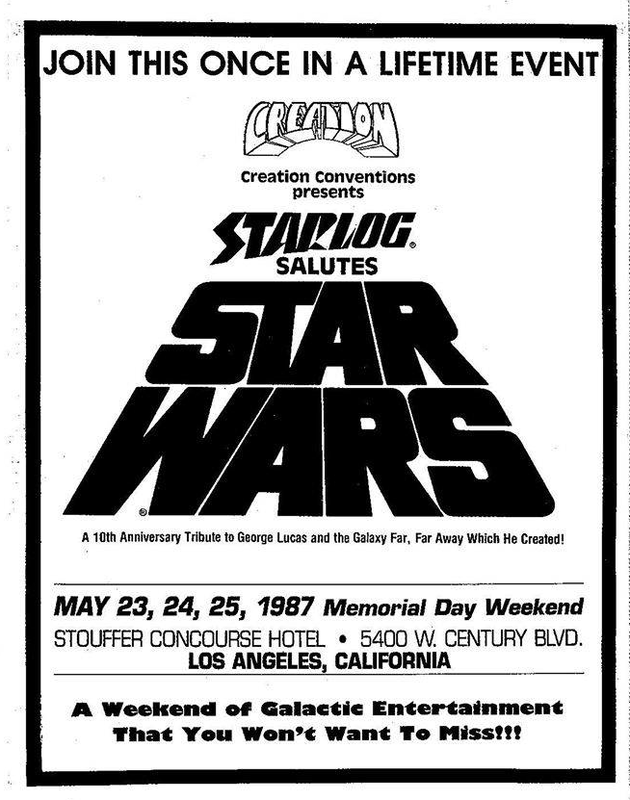 Starlog Magazine held the Convention during Memorial Day weekend from May 23 to May 25, 1987 at the Stouffer Concourse Hotel in Los Angeles, California. The official title was "Starlog Salutes Star Wars-A 10th Anniversary Tribute to George Lucas and the Galaxy Far, Far Away Which He Created!" The first look at the behind-the-scenes of the brand new Star Tours ride at Disneyland was showcased and there were special guest appearances from the maker himself George Lucas, film stars Anthony Daniels, Lando Calrissian and concept artist Ralph McQuarrie. 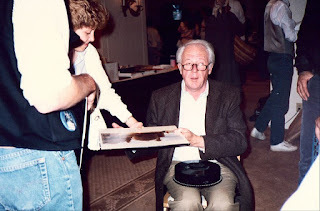 The first ever Star Wars Celebration I (1999) in Denver, Colorado is deemed to be the first fan convention, but perhaps Celebration 0 (as termed by StarWars.com) should be labelled as the inaugural fan-led celebration. The 1987 convention marked the 10th anniversary of the release of A New Hope and in three days time the 40th anniversary of the 1977 blockbuster will be celebrated around the world. What are people's highlights from the 1987 convention? Let us know in the comments below.